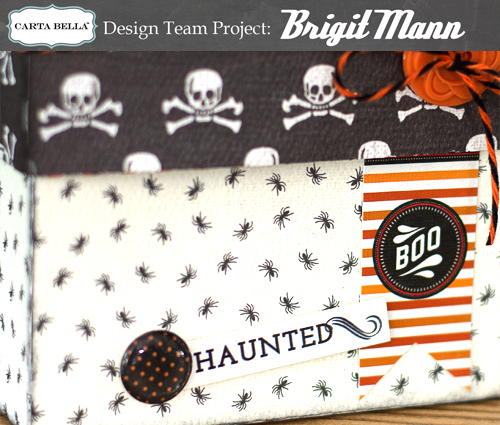 Carta Bella's Happy Haunting collection. 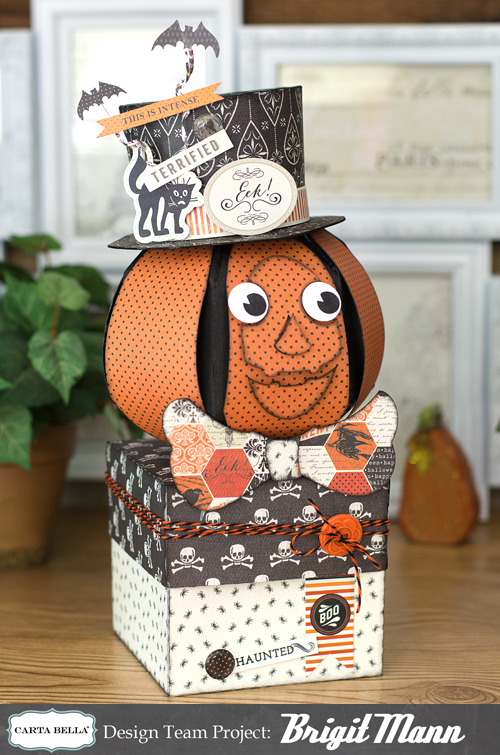 I loved making this project, it really showcases this awesome paper collection and elements. 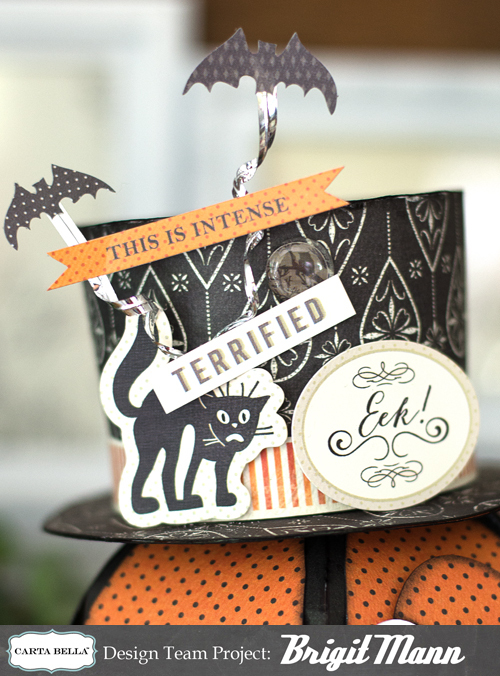 A closer look at the cute hat with some of the elements. This spider and skull paper are two of my favorites from this collection. Brigit this is amazing you are so talented. I love everything you do!!! OMG this is over the top cute.